If you’re at the stage where you’re ready to set up your fish tank, you’ve probably done a lot of research. You most likely know what size tank you’ll need, how to set it up, how many fish and which fish species you’re going to keep in your tank. If you’ve bought your fish from a reputable supplier, they will have given you plenty of guidance on how to care for your fish and what to include in the tank. What most people don’t tell their customers though is what not to include in the tank. This is just as important, if not more important than knowing what things to include in your tank. If you unknowingly put certain things into your aquarium, you could very well put them in danger and some items can be fatal for fish. Many fish shops sell plastic toys, like Nemo or SpongeBob, to include in your tank. When plastics are left in water for long periods of time they can release potentially toxic chemicals into the water, so they should be avoided in fish tanks at all costs. 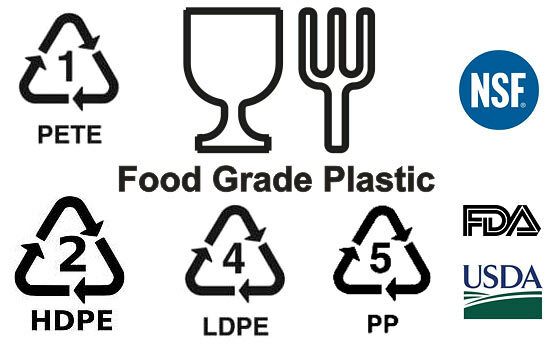 There are a number of exceptions to this, if the plastic has been graded food safe. This is often displayed with a triangle made up of three arrows. However, avoid one time use plastics such as water bottles. Recent research undertaken on plastic bottles left in cars, shows that chemicals can leach if used for a prolonged period of time. Often the plastic toys you can purchase from fish stores are painted, and the paints may not have been sealed. Ensure when you buy plastic toys that you find out whether or not they have been sealed and are safe for your aquarium. Unsealed, painted plastic toys will release toxins into the water which could poison your fish. Even with sealed plastic, there is always the chance that they could chip or split and then release toxins in the water. We advise that you make the fish tank as similar as possible to natural habitats and avoid plastic when possible. Some ceramics are OK to use in your tank – if they are marked as ‘dinnerware safe’ they will usually be fine for your tank. As a basic rule of thumb with ceramics, if it’s not safe to eat off, don’t put it in your aquarium. 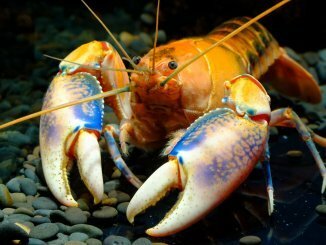 There are a few exceptions to this rule, for example, we can eat of copper glazed ceramics, but they would be harmful to shrimps, and other species. Always check if there are any substances that are harmful to your particular inhabitants. There is also evidence to suggest that lead is present in some pottery which is a health hazard for both humans and fish alike. Highly decorated items and glazed terra cotta clay can sometimes contain lead, however most countries have been manufacturing lead-free terracotta for years now. If you’re unsure, there are kits available to test whether lead is present. Aside from the food you provide your fish, no other consumable objects should be placed into your tank. Fish chew and bite a lot. If you place rock in there which is loose, it’s possible they could chew off a small piece which could be fatal. Or, toxins could be released into the water. Make sure you know all the side effects off adding things to your tank, there are even some plants which are harmful for fish so do your research thoroughly. 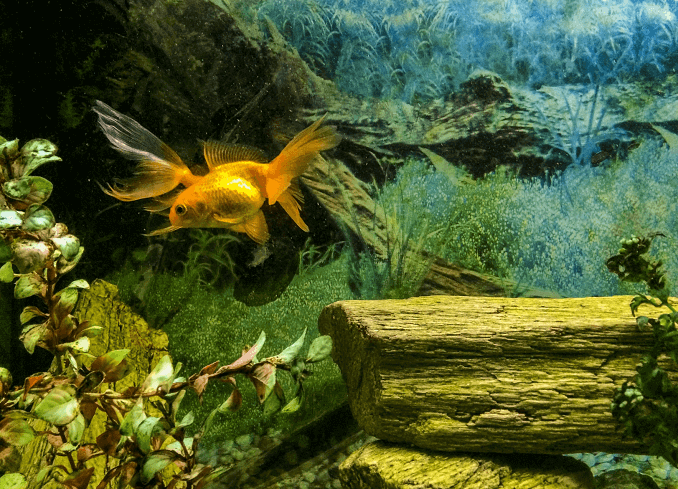 Don’t put un-treated wood in your aquarium. Many of the wooden ornaments that you find in pet shops have been treated, so they are fine to include. But you can’t just put un-treated wood into your aquarium. This can alter the chemistry of the water in your tank. Driftwood is fine to add and is a nice addition to an aquarium. If you’re going to include driftwood you should choose a hard wood. This is because hard woods take a long time to decompose and won’t have a drastic impact on the water. Whilst treated sand can make a great substrate, beach sand is generally polluted and will contain chemical residue which can harm your fish. Logic may tell you its fine to include some in your tank; it’s the fish’s natural habitat. However the ocean is a vast collection of water which is constantly renewing – your fish tank is not so big so just a few chemicals can drastically harm your fish. You can put sand in your fish tanks; just make sure you buy it from a reputable place. If you’re determined to use beach sand in your tank, it can be done but you need plenty of patience and time. It involves lots of soaking the sand, and changing the water, rinsing and letting the sand settle in the tank water. This process is lengthy and can take 2-3 weeks. Don’t put shells in freshwater aquariums. We should note here that we’re only talking about freshwater aquariums for this category. Shells and corals add calcium to the tank and this is not needed in freshwater tanks. Basically anything that will cause chemical changes in the water should not be put in. 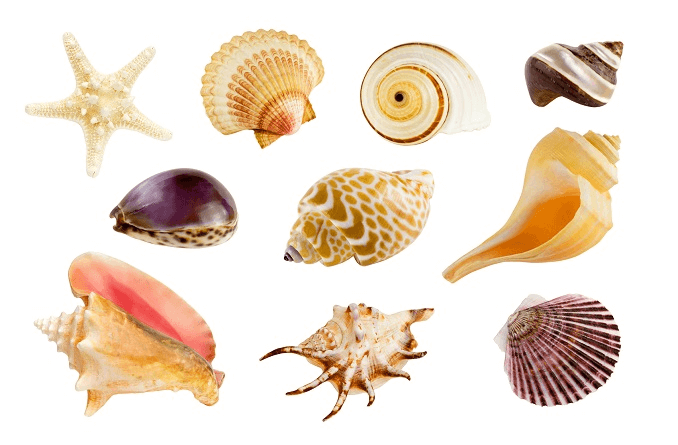 Seashells, amongst other items, can change the PH hardness which will cause difficulties for your fish and it’ll be harder to maintain the tank. If you put something into your tank which can degrade, it will alter the water which is far from ideal. Depending on the object, again, this can realise toxins and chemicals in to the water, or it can make the water become dirty. While we’re on this topic – it’s important to remember that fish food should only be left in the tank for 5 minutes and the remainder should be removed to reduce the amount of waste left in the tank. It is fine to put your hands into your fish tank as long as they are not contaminated. By this, we mean, hand soaps and creams should be thoroughly washed off. Soaps and other residues left on your hands can be harmful to your fish. Before putting your hands into the tank, wash them with soap and rinse them off a couple of times to ensure all the soap is off. Don’t put anything sharp into your tank. This includes glass with sharp edges, or painted glass, objects or decorations with sharp edges. Paint can flake off objects and poison your fish. Remember, this doesn’t just apply to items you have found, make sure you also check your shop bought items frequently too. One cut to your fish could lead to infection if not quickly treated so best just to avoid anything sharp altogether. This is perhaps an obvious observation to those who are more experienced, but it is one that must be covered. Even if you have a 100 gallon tank, there are still many breeds of fish which are not suitable for your tank. An example is the Iridescent Shark, a large catfish which is a very active swimmer and can grow up to 4 foot long in the wild. Always do your research into fish breeds and their requirements before you add them to your tank. Not only is buying the wrong fish a waste of money, but placing fish in a tank that is too small for them, will inevitably lead to early death. Will it release toxins into the tank? Is it going to cause chemical changes in the water? If you’ve answered yes to any of these questions, do not put the item in your tank. Some of my decorations are sharp but my betta seems fine with it. I know that betta’s fins are very delicate- but I could not find anything soft. However, I did get some fake plants with a ceramic base from Walmart. Is it okay if I use those plants and decorations? I have a lead crystal bowl. Is this safe to use as a fish bowl? Will the lead seep out of the crystal? As to whether the lead can seep out of crystal, manufacturers of lead crystal recommend you don’t store liquids in them as they are more likely to leach. Personally I would choose another tank just to be on the safe side. I’ll leave your post here in case anyone has any first hand experience of a lead crystal bowl. Do you know if craft foam sheets would leach anything toxic into the tank water? I’m interested in making some foam decorations for my Betta but I can’t find any information on whether it would be safe or not. I bought a flower that’s made of foam, but I don’t know if it’s different than regular craft foam. It depends what the craft foam is made from. If you send me a list of the ingredients I can let you know how safe it is in your aquarium. Can you put gold fish/coys in a metal horse watering container? Hi, this depends on may things – the type of metal, whether you’ll use a filter etc. A lot of non-ferrous metals are poisonous for fish. Is there a specific reason you want to keep fish in a horse watering trough? Let me know further details and I’ll see if I can be of more help. I’m getting ready to set up my Marina Portrait Aquarium and have been hunting for decorations for my very special, frowny faced Betta. I’ve been looking at the biorb decor, but the plant bases and sculptures seem to all be ceramic. I’m nervous about gravel substrate changing the pH, so I’ve found some manufactured sea glass gravel so no sharp edges, pretty and neutral colors, and not painted, but will I get a good bacteria bloom with it? I’d put some moss balls in with him, but I’ve read live plants can carry disease risks. Granted, I’ve also seen don’t feed live food for the same reasons; there’s a lot of conflicting info out there! I know there are Betta hammocks out there, but the ones I’ve seen are either a silk leaf with a wire in it or a painted foam lotus that is secured to the bottom of the tank with fishing line. I really want him to have the best environment I can give him and get him into his permanent home ASAP. Poor guy is in a gallon atm, but I’ve tried to put a lot of thought and research into what I should be doing as a new Betta owner. It’s excellent to hear you’re putting so much thought into your Betta tank, many people keep them in tanks that are way too small. As for what you’ve described – everything sounds great. How large are the pieces of sea glass gravel that you’re using? Your bacteria build up will depend on whether you’re using a filter or not. Whilst most people do not use a filter, it will be easier to look after your tank if you include one. A filter will also encourage good bacteria growth in the filter media. 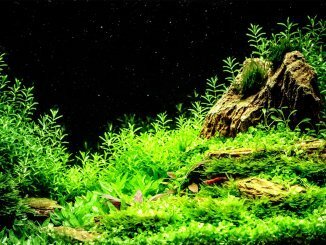 Including plants depends on how much time you want to dedicate to your tank. 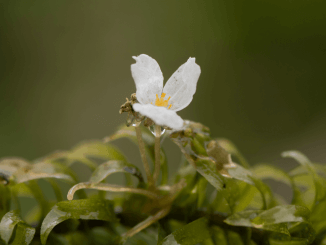 Silk plants are definitely the easier option, however live plants will remove ammonia and nitrates from the water and add oxygen to the water. Good luck with your Betta. Thank you, Robert. The sea glass goes up to about 1/2 inch pieces approx, so they should be anywhere in that smaller range. The large sea glass goes from 1/2 to 1.5 inches approx, so, going by that, the smaller pieces I’m looking at should be perfect. The tank comes with a filter, so I’m good there! It’s three stage filtration. I’m looking into the aqueon pro 50w heater for him and thinking of using something like API quick start to cycle the tank a bit faster. I’m still leaning towards the silk plants exclusively; I’d add some marimo moss balls, but they prefer colder water. They might do okay though. Again, thank you so much! Getting ready to order some decor now! I recommend removing as much as you can and sticking to their original feeding schedule. As the food breaks down it affects the water chemistry, even more so in a smaller tank. hi, thanks for all the useful information. can i put golf balls as decor in a betta’s tank? thank you! I don’t have any personal experience with this. I would recommend contacting the manufacturer to see if they coat the balls in anything that could be toxic to your fish. I’ll leave your comment here, incase any of our readers have any helpful advice. I currently have a poor, little glowlight tetra. Pretty sure the bigger tetras nipped a number of his fins off, though it could have been our gourami. Anyhow, we have him in a 1 gallon right now since he can’t move much. Doing 100% change every day. My question is about tea tree oil. I’ve extensively read about it and decided to try that instead of Melafix to help him regrow the fins (as I read bad things about melafix and tiny fish. And many ppl said tea tree, though strong, is milder than cajput oil in melafix). I’m not sure if I should be using quick start and stress coat with the tea tree oil. It is unfiltered tank with full water change daily, a drop of diluted oil, and quick start with stress coat. Also, what are “normal” behaviors for a fish missing fins? And how often should I try to feed him? It seems he highness at his favorite, bloodworms, but doesn’t quite eat it. I want to ask I live in a town where there aint any fish shops or petshops around. I just want to ask if I can put any artificial plants purchased at my local shop in my tank. Thanks for your question. Yes artificial plants are fine as long as your thoroughly rinse them before you put them in the tank. Hi! Is it safe to use an air stone and pump from a friends tank that has been dry for months? Her fish died from unknown causes and I don’t know how long the disease could survive outside of water. Do you think I could potentially infect my tank using it? Hello, I have a large piece of coal in my 55 gallon tank and was wondering if that could be a potential problem ? It’s been in there about a year and I have had no problems until recently but I believe it was because of the piece of driftwood.its not very big but my pH level dropped and the fish started acting strange and then I lost a few. I would hate to have to remove it because my plecto loves it and is eating it. I changed the water and the fish are doing much better so from now on I will have to keep a good eye on the water quality. OK, I have an idea for a fish tank theme that involves plastic figurines and I need to know if there is some kind of fish tank safe clear coat – the idea is to completely seal the figurine from getting damaged and leak toxins and protect the fish 🐠. Someone suggest nail polish enamel but I need to know what is the best thing to use. I appreciate your help in this matter. My son has toy trucks with interchangable tops (Plastic). I’d like to add a couple of the tops to the tank (possibly sharp wheel wells buried in the gravel). How would I know if they are fish tank safe? I have a few ceramic figurines that I really want to put in my fresh water tank but I don’t know if the clay or paint could be deadly for the fish. Is there anything that I could coat them with to make them safe or should I just refrain from adding them to my tank? Setting up a new tropical freshwater 10 gallon tank (second time in 8 days, fed the fish too much, water got cloudy and all died but 2) The pet store says fill the tank with tap water, put in the correct amount of water conditioner, run the filter for 24 hours, put the heater in near the end of 24 hour period and your good to go. I noticed your description of cycling is much lengthier. I have to the 2 remaining fish in a giant bowl with the heater waiting to go back in the now cleaner, healthier tank. I’m not sure they will make it in the bowl much past one full day though. what do you suggest?? help!